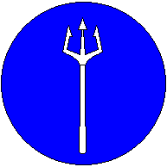 The Order of the Silver Trident Trimaris (OSTT) is the premier Arts and Sciences award, given for excellence in any Art or Science, as well as exemplary courtesy. 1.) There exists in Our lands those folk whose skill and excellence in their chosen craft shall serve as examples for others to follow. Having proven by word and deed to be such an example to the populace of Trimaris, it is Our pleasure and privilege to invest ____________ as a Companion of the Order of the Silver Trident, Trimaris. Done this _____ day of _____, Anno Societatis _______. 2.) In this sun-blesséd land We the Crown Trimaris take pride in those whose skill is beyond compare, whose courtesy and artistry inspire and lead. Our noble ____________ has proven both by word and by deed to be such an example as to be worthy of recognition as a Companion of the Order of the Silver Trident Trimaris. Hereto do We lay Our Hand and Seal this ______ day of _________ AS ___________. 3.) Glory to Our Kingdom Trimaris, for We may rejoice in the skill and encouragement of Our artisans. We have seen one who has shown both accomplishment and inspiration, both to their peers and their inheritors. Thus do We the Crown Trimaris take pride in investing __________ as a Companion of the Order of the Silver Trident Trimaris, witnessed by Our hand on the _______ day of ______, __________ Anno Societas.